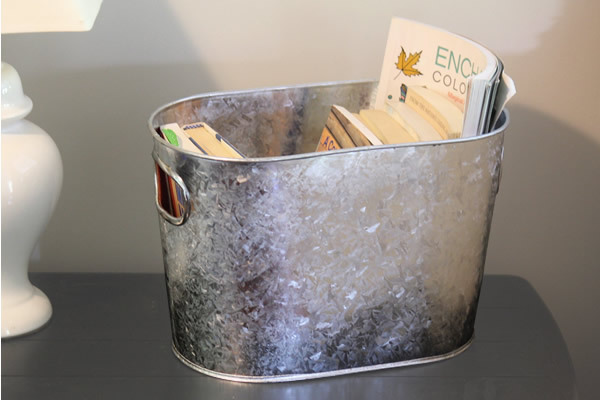 This hot dipped galvanized bin features a reinforced rim, offset bottom, and sturdy integrated handles. It makes the perfect container for magazines or children's books and can also be filled with ice and up to 13 standard-size beverages. Its textured finish will add character and style to any event. 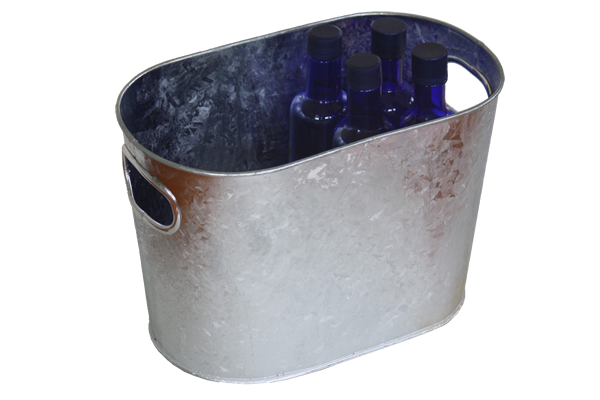 We also offer a 4 gallon large beverage tub in a variety of colors to best suit your needs. This added a lot of character to our office waiting room. We really enjoy it, and so do our customers.